Collaborating in a different forum. Where Have All The Walls Gone? It is much more cost effective to set up initially than partitioning for many small offices. However, to offset these potential benefits there are some other factors which may not be so positive and should be taken into consideration when determining the best office layout for your team. One of the most obvious drawbacks to an open plan office is the fact that many people find it difficult to concentrate on their work when operating amongst many other people in an open plan office. The effect of this on productivity can differ greatly depending on the type of work people are doing, but issues can arise where quiet is required in order to get a successful outcome. Issues such as employees sitting on the corner of your desk for a chat, the constant coming and going of people to the coffee machine and the incessant hum of the copy machine in the background can all make concentration near on impossible. This assault on the senses can really affect peoples’ concentration and their ability to be productive. A Cornell University study found that even the low-level noise which is common in most open plan offices can increase stress and decrease motivation which is not a great combination when trying to maximise productivity. Pleasing everyone, helping no one. Trying to find a balance that works for all employees is also a major issue in open plan offices. Employees appreciate the ability to control the small aspects of their environment and tailor them to their specific desires. Having an office dedicated to you gives you the ability to adjust things like the level of lighting, potentially adjust the temperature in the room and manage the level of sound to your liking, ensuring the space is set up to allow you to be as productive as possible. According to the Harvard Business Review, the more control people have over their environment, from where they sit to how they arrange their seats the more productive they will be and the more satisfied they will feel at work. Obviously, in an open plan environment, this level of control is diminished greatly and in most instances, you need to bow to what works for the majority. A recent study of over 2000 workers found that the more people working from a single room, the more sick days these employees took. In this study, the occupants of an open plan office took 62% more sick days compared to those in smaller regular offices. When working from open plan offices it becomes significantly harder to avoid germs and regular illnesses such as cold and flu particularly when everyone is working from the same confined space. Obviously this increased level of sickness affects people on a personal level and they can become frustrated by constantly being sick, however, there is also a significant cost to an organisation when large numbers of the workforce are regularly out of the office sick. In 2013, $27.5bn was lost to the Australian economy due to sick leave costs and lost productivity. This equates to about $2,700 per employee per annum, a cost any business will be keen to minimise. Another element should be considered in workspace design is the fact that humans inherently like to have ownership over their environment and when it comes to a workspace people appreciate having your own personal space and space they can call their own. People want to have the ability to personalise and tailor their workspace to fit their needs, the ability to do this is significantly limited when working in an open plan space. In personalising their space, people may want to display family photos and personal belongings and they may not feel comfortable doing so in the public forum which is a cubicle. When people are able to personalise their space and have a place to call their own, they feel empowered and safe, which in turn will lead to greater productivity and improved quality of work. The concept of open plan office design has become quite a hot topic as organisations consider the way they design their office space to best suit their organisation. There are both pros and cons to dedicating some of a business’ office space to open plan design and it is important that organisations consider both sides of the coin in determining the best use of space. Whatever office space design an organisation chooses, the most important aspect for the organisation to consider is what will work best for their team and the work they need to do. Andy Will is a Director of Wilkin Group and works with organisations and individuals on a daily basis to develop workspace solutions which support the way they choose to work. Don Will is the MD of Wilkin Group, which has a number of Business Centres which have offered Virtual Office Solutions for over a decade, and hence understands the changing nature of workspaces. 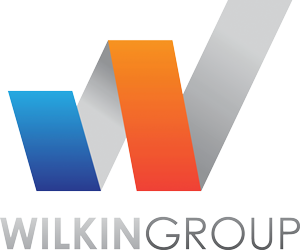 Wilkin Group can be contacted at info@wilkingroup.com.au or +618 7071 7071.